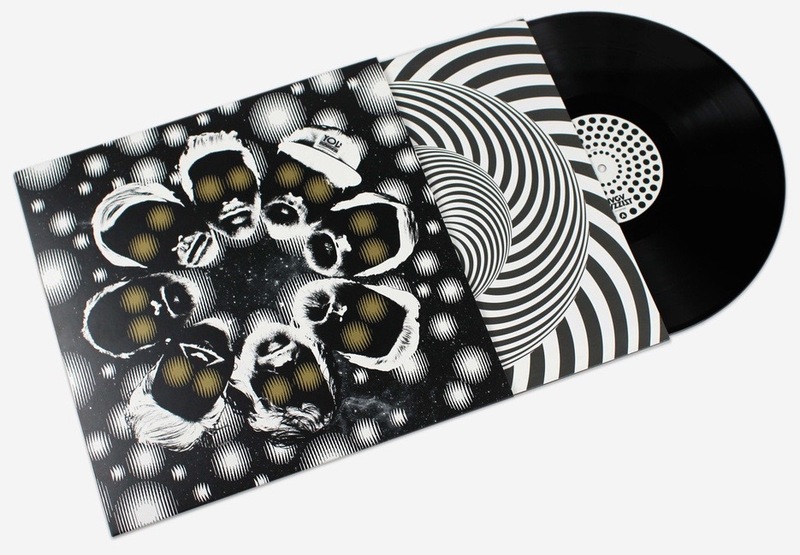 What a strangely captivating album is Starfire, the 9th from Norwegian band Jaga Jazzist. I stumbled across this recent release, took a punt on the album after auditioning a track on youtube (below) and… got excited. The grooves are inescapable though far from standard issue. Often the melodic lines seem to be layered on top of rhythms – both acoustic and synthesised – that shift and jump through time signatures like a virtuoso garden gnome on ice. The shifting colours and textures of diverse instrumentation leap out of the tracks like an exploding aurora borealis. The title track sets things in motion with trippy drums of a vaguely acid-jazz sensibility while over the top weave melodic lines seasoned with electronic dabs and dashes. When the choppy riff enters at the 3 minute mark, you know that this is a band whose invention cannot be contained in short, song-based compositions. It’s wonderfully exciting even though, at the end of the piece’s eight minute length, you would be hard-pressed to put into words what you have been listening to. Imagine a post-modern Scandinavian mid-70s Zappa blended with a 21st Century Drama-era Yes and you’ll still have no idea. ‘Big City Music’ is certainly huge in scope, confidently embracing the grandeur of a film soundtrack, but what sort of film? This fourteen minute widescreen piece evoked landscapes and alien terrain for me, I didn’t get urbanised at all. Instead the journey traversed open vistas, crossed ice floes surprisingly warm to the touch, sighted lumbering behemoths suddenly performing dainty pirouettes, glimpsed strange mechanical birds swooping low and soaring towards chartreuse clouds, as it all built towards a melodic climax dripping heroics from synthesised brass. The second side opens with ‘Shinkansen’, conveying a gentle, spacious feel with spirals of melody – flute, synth – over a strummed acoustic guitar base. There is a discernible folk flavour reminding me of Swede Bo Hansson’s melodies. But the mood shifts as an insistent bass pulse enters, overlayed with electronic blips and bounces. The flute returns (synthesised this time?) to tie the parts together as the percussion builds like an off-kilter marching band who skip across the finish line. ‘Oban’ has prominent electronic lines over a stuttering rhythm. Once again the layering of parts adds a sumptuous complexity to this groove, and again the voices shift and pass so frequently that the listener reaches a state of bemused delight. The last of the album’s five pieces is ‘Prungen’, which opens with brooding, sinister tom-toms and edgy ‘What was that sound? !’ effects. But the flute helps reassure us that everything is OK. A second melody enters – sort of Eastern but also Scandinavian folk if you can imagine that – interspersed with rhythmic percussion that is, frankly, straight jazz-rock fusion. But nothing is straight here – the piece and the whole album are for adventurous folk with open ears and a thirst for bendy music. I love it even though I’m quite tense by the end. So delighted was I with Starfire, that I was moved to contact Jaga Jazzist’s record company to request an email interview. After a couple of tries, I was told that my email had been forwarded. That was a month or so ago and I have not heard anything, though one odd thing happened. The day after the band completed their North American tour and (presumably) returned to their Norwegian homes, a significant spike appeared in the Vinyl Connection stats from – you guessed it – Norway. Co-incidence? If there is a reply, I’ll post it. In the meantime, here are the questions I sent to the founder and main composer of Jaga Jazzist. Your music is rich with atmospheres and textures. Is the Norwegian heritage expressed in the music? (If so,) How? The music of Starfire is expansive, complex and inventive. Over what period were the pieces written/assembled? How do you generally compose? In private, in rehearsal, or in the studio? People love labels – it helps them locate music that may be less familiar. Which of these would you tolerate as descriptors of Starfire andJagaJazzist generally? Do you like the term ‘post-genre’? The instrumental playing is extremely tight. Does the band rehearse regularly? A couple of instruments that I do not recognise are credited: ‘Typatune’ and Swarmatron’. Care to explain? No less than three Horntveths are listed. Blood relatives or Ramones-style melding? 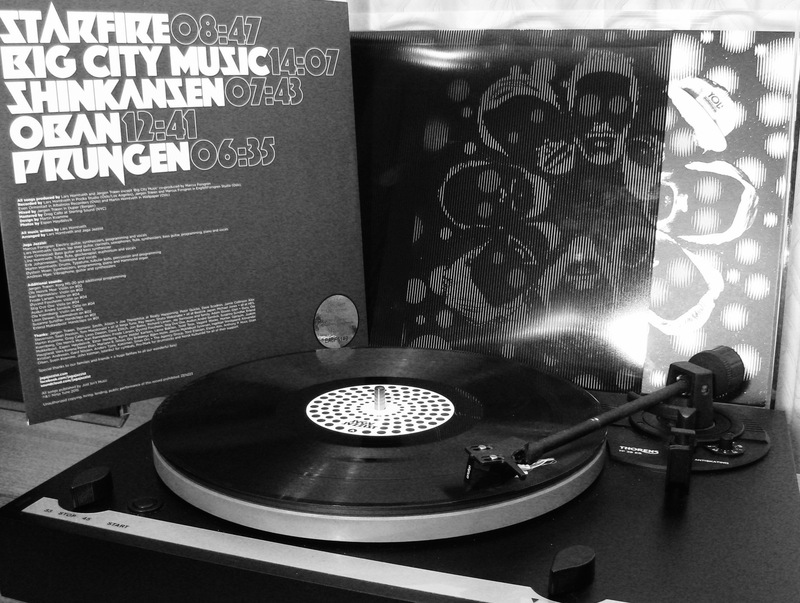 What distinguishes Starfire from the Jaga Jazzist albums preceding it? The LP packaging really quite extraordinary. I even learned a new word, ‘Anamorphic’. How did it come about? Which of the flashy-eyed wobbly beard faces are you? Any chance of touring Starfire in the Southern Hemisphere? A final puzzle is how to pronounce the band’s name. Below are all the combinations I could think of. Vote if you like, or please educate me if you actually know. They’ve produced a startling album, however you say it. Starfire was released on June 1st 2015. Of course they have an official Jaga Jazzist website. The sleeve was designed by Martin Kvanne. See it in action here. That’s a beauty Bruce! Worth a place on looks alone. My money’s on #4. But it is an extremely desirable bit of vinyl! This is one of my favourite albums of the year. I have listened to them in the past and their previous albums are pretty good too, though a bit different to Starfire, which includes more electronica elements. I believe there is a vinyl box set of their earlier albums which was released not too long ago. Another band I have just come across this year and take a similar big band approach and throwing everything into the mix is Snarky Puppy. Theirs Sylva album is just incredible. 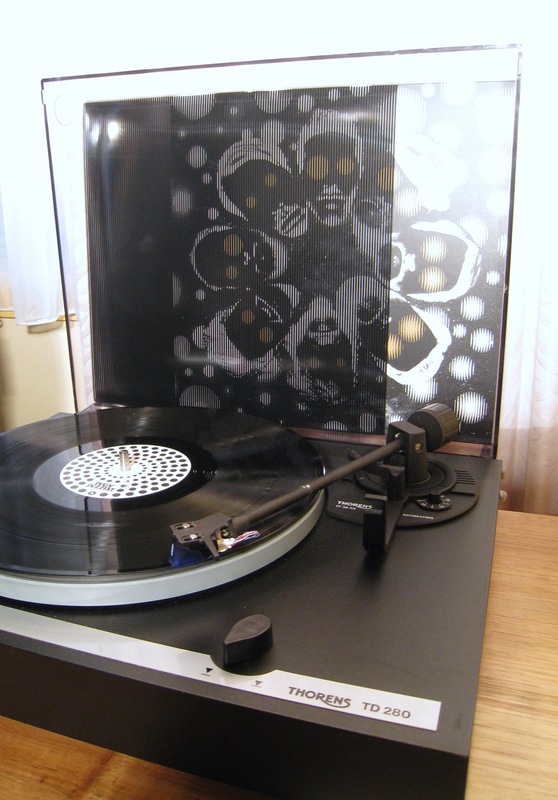 More smooth and lush sounding that Jaga Jazzist, but the compositions, arrangements and soloing is unbelievable. Thanks for your comments, Barrie. Is that ‘chased’ or ‘chaste’? Surely all musicians are chaste? Yes, Starfire is interesting. (And Barrie’s tip for Snarky Puppy’s Sylva is appreciated too). Too true. Think I’ll audition Sylva forthwith. Yes, some ‘harmony’ in modern music at last! Intelligent music that doesn’t depend solely on ‘grooves’ or ‘hooks’ and is made for repeated listening. Enjoyably insane. This looks really pretty wonderful. Sounds wonderful too. So wonderful, in fact, I’m eyeing it up on Amazon. Oooft. Hope they answer those questions! Also, I’m gonna go for the simple #1 there. Adventuresome music. Gotta love it! Thanks to Barrie, above, I believe we have the name pronunciation sorted courtesy of an interview with Mr Horntveth. Version #2 is apparently correct. Now we know.